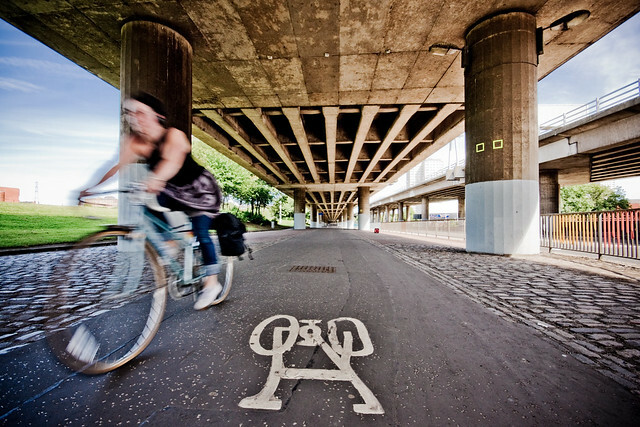 Cycling under the M8 in Glasgow, as seen on Flickr and taken by Ben Cooper. Any of our readers know this route? Do tell, do tell.